There are usually two major factors in your life that are holding you back from dominating the world (or at least being as productive as a world dominator): time and money. If you had no money but lots of time, you could use the extra hours to find a job, start a new business, sell your services or do any other incoming-generating activities. And if you had no time but lots of money, you could hire assistants to take care of a bunch of little tasks that waste a lot of time but are required or tackle one major project. Here are 10 tips on increasing daily productivity, along with quotes from super-busy but successful entrepreneurs for some extra inspiration. There are usually only one or two important tasks to do during the day that are essential in moving your business forward. Of course, we all have seemingly endless to-do lists, but let’s be honest—only one or two things are significantly important. Nobel Prize-winning novelist Ernest Hemingway got up with the sun and rather than go for a walk, shoot the breeze with Gertrude Stein and other famous members of The Lost Generation or mix himself a stiff gin martini, he immediately got to work on his writing. At this early hour, not only is your brain fully rested, but there is no one around to disturb you. The ability to define this one main task is key to your productivity, and by scheduling the most important task for first thing in the morning, you will set the tone for the rest of the day. I’m one of those rare people who still prefers pen and paper to online to-do lists. 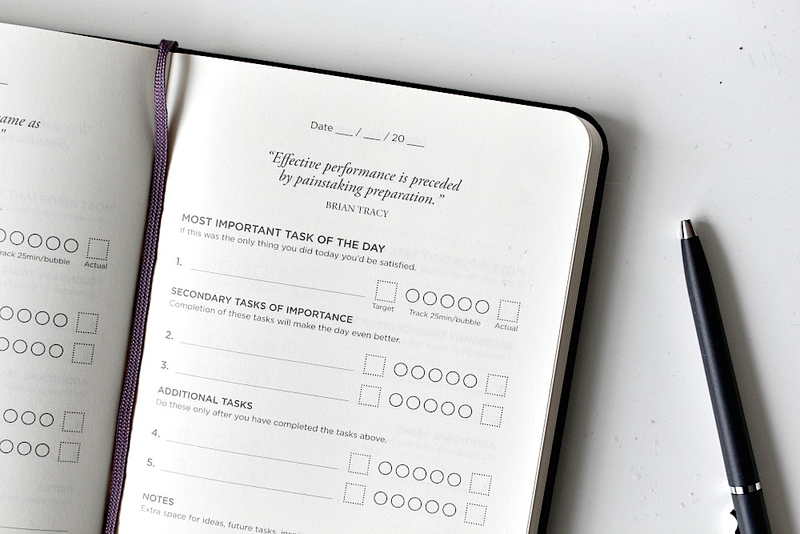 I use Productivity Planner which is a notebook made up of simple to-do lists for each day. Every page is divided into three sections: the most important task of the day (you only get one! ), secondary tasks of importance, and additional tasks. I also love that it starts every day with a motivational quote. You’d be surprised (or maybe not) at how much time we waste during the day and never even know it. Between reading every e-mail as soon as it comes in, checking your social media every hour, and finding inspiring quotes for a blog post, tracking your time is a good strategy to increase productivity by seeing where it’s leaking out. By evaluating your day, you can figure out which areas of your workday you’d like to change and make better decisions on managing your time. It allows you to create new tasks, manage projects and clients, add tags, edit your working hours, set billable time and rates for each project, and get detailed reports on all your tasks and projects. TMetric can also be integrated with many other services you use such as Trello, Asana, Visual Studio and many more. Are you aware of how much time you spend on e-mails each day? If you read, respond, organize and archive every e-mail that arrives in your inbox throughout the day, you are wasting a whole lot of time. Contrary to what many believe, the most successful entrepreneurs only check and write e-mail twice during the day: first thing and last thing. “Inbox Zero” is a new approach to e-mail management that helps you keep your inbox empty at all times. To help yourself do this, set up a rule for yourself that you’ll only deal with e-mail once or twice during the day at a maximum. It’s also a good idea to develop a habit of limiting all e-mails to five or so sentences; unless you’re a professional editor, the majority of people tend to write verbose messages in an effort to get their ideas across. Try trimming yours down and see how much time you save. 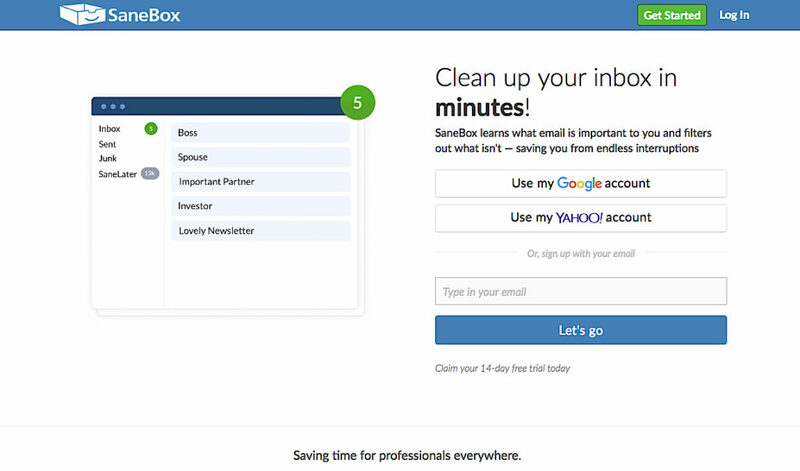 SaneBox is a simple e-mail tool that defines which messages are important to you and which are not by clearing your inbox from clutter and prioritizing the messages that really matter. If you work in an office, then you’ve probably been to more meetings in one month than a non-office worker has been to in a year. According to Inc., 45 percent of all meetings are staff meetings and most of them last between 31 and 60 minutes. For some reason, managers love to call employee meetings (maybe it’s the coffee and donuts? ), but the truth is that half the meetings that last half the time would do just fine. And if you’re having one-on-one meetings, give people just half the time they want to meet with you. 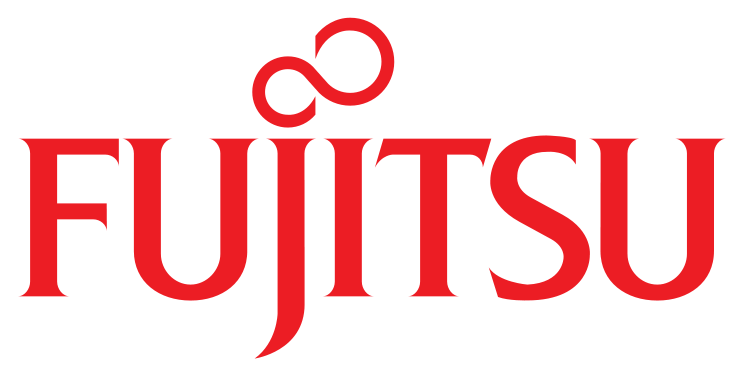 It forces them to be brief, clear, and to the point and allows you to save more of your valuable time for your high-priority tasks. There are numerous online and offline tools to increase your productivity, so don’t be afraid to use them. 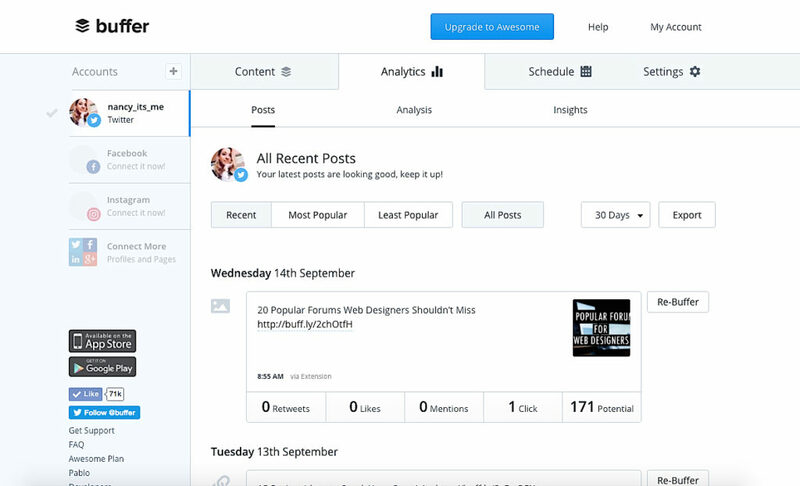 Among the most popular are Buffer, which allows you to schedule your social media postings as far in advance as you have them ready to go rather than post them throughout the day, every day. Asana is a great tool for managing projects and sharing tasks to keep yourself and your team organized and on track. 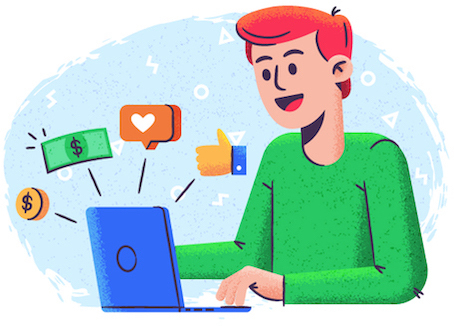 Their tagline is that they are a “smarter inbox” because you can customize your settings to only receive the team or project updates you need rather than being overwhelmed with non-stop, unwanted messages. All the tasks that you need to do are listed by order of due date in your own personal Asana inbox. Pocket allows you to save important or interesting web pages to read later. You might come across a great article but not have the time to read it, and then wind up forgetting about it later on. With this tool, you can save posts, videos and anything else, and then access them from all your devices, such as a smartphone, tablet or computer. Despite what everybody says, multitasking is just a myth. In fact, multitasking can reduce your productivity by as much as 40%. When you multitask, you accomplish all tasks less effectively rather than a few of them efficiently. As opposed to saving time, attempting to do more than one task at the same time takes longer and you’re more prone to making errors. Multitasking is only possible when one of the tasks is automatic, such as walking and talking at the same time. When you are video-conferencing on Skype, how many times have you peeked at other websites only to realize that you stopped following what the other person was saying? Multitasking goes beyond the workplace, too—we scroll through Facebook while walking down the street, write or read e-mails during a meeting, or even text while driving. These days you’re considered a productivity hero if you do five things at once and lazy if you do only one thing at a time. The Pomodoro Technique is one of the most popular methods of increasing productivity. 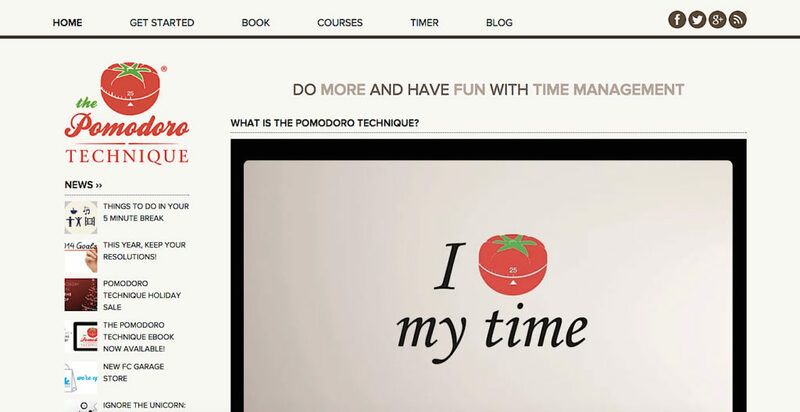 This time management method was developed by Francesco Cirillo and though it has nothing to do with tomatoes, it did get its name from his tomato-shaped kitchen timer. The Pomodoro Technique is based on the principle of doing a certain task for 25 minutes and then resting for 5 minutes. Although taking regular breaks every half hour (or even every hour) may seem counterintuitive, the paradox is that stopping to rest your brain helps you focus on the work even better when you resume. Taking regular, short breaks revitalizes your motivation and over time this method can improve your concentration. If you’re lacking the willpower to be self-accountable, there are numerous services that can help. 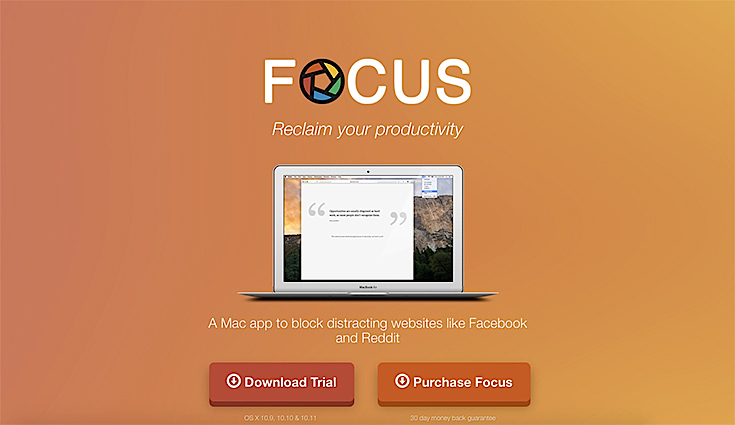 For example, Focus is a useful tool that temporarily blocks distracting websites like Facebook or Twitter so that you can focus on important tasks. As their website says, this tool is akin to closing the door and putting on headphones. Computers are no longer just for work—we use them to check in with friends on social media, to entertain ourselves on YouTube with funny cat compilations, or to play endless games of Solitaire. Once you set it up, it will block anything from Twitter to e-mail for however long you decide and give you a motivational quote, too. So far it’s only available for Mac. Familiar Music – It’s best to choose songs that you are familiar with because the mind tends to listen more intently to songs that are new to you. 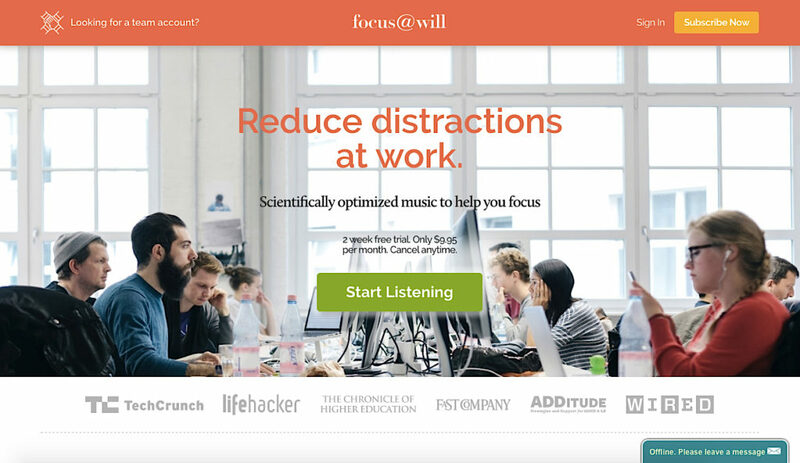 Music in the Major Key – Background music that is in the major key results in better productivity. Classical Music – Classical music, especially Baroque, is ideal for music in the office. Ambient Electronica Music – This style of music is also an excellent option as it tends to be repetitive, rhythmic, and unaccompanied by lyrics. Try out [email protected], a web app that allows you to set time limits and choose music to play while you work, has a unique collection of instrumental music that you won’t find anywhere else. As time management expert Laura Vanderkam says in her book What Successful People Do before Breakfast: successful people wake up early to kickstart a productive day. If you love your snooze button, you may disagree with this, but she says that morning time is the key to taking control of the rest of the day. Vanderkam says that by getting up early, you can actually accomplish those tasks or projects that are much harder to take care of in the afternoon. If you don’t feel like waking up so early, the author advises starting with small steps such as getting up just 15 minutes earlier each day. So there you have it—ten ways to not only be more productive in your day, but to feel more relaxed and focused and, therefore, happy. And as the research shows, happy people tend to be 12 percent more productive and companies with happy employees outperform the competition by 20 percent. Feel free to share your own productivity tips with us in the comment section below! Nancy Young is a passionate writer and blogger who believes in magic of written words to inspire and motivate. She writes tons of inspirational articles on photography and web design, despite the fact that she is an economist by education, and is a content manager at Ahrefs.